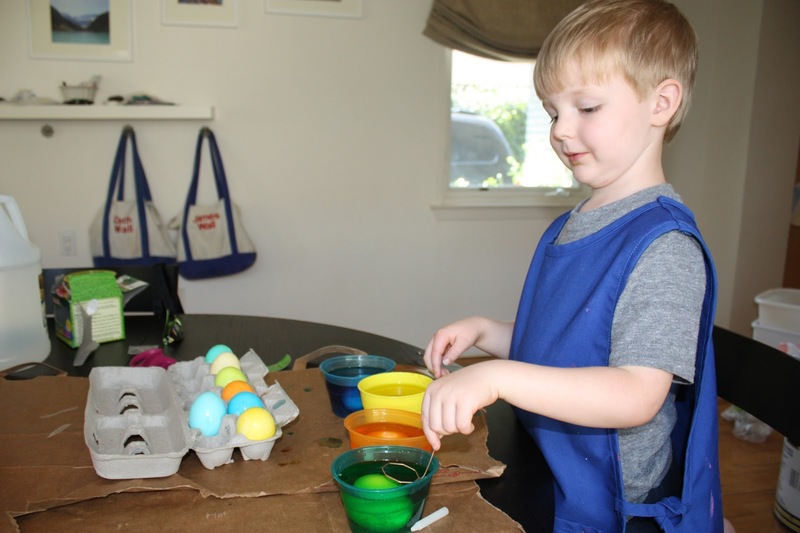 I felt like such a loser mom when I saw all these two year olds dying eggs on Facebook for Easter. 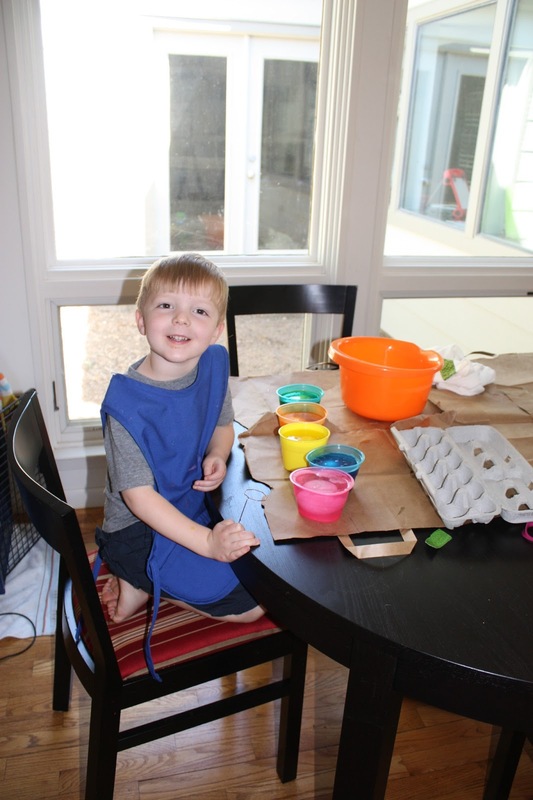 This was the first year I let Zach near eggs and vinegar. But then this is what my almost two year old did while my four year old and I were dying eggs which made me feel much better. So really, we are good. 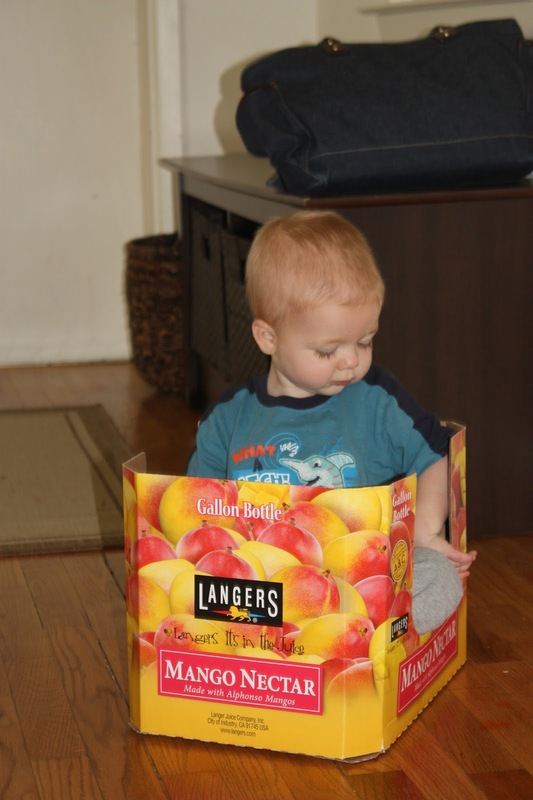 James spent the entire time climbing in a out of the box we brought home from Costco with us. He tried to cry that he was stuck until I reminded him the box didn’t have sides, he could just step out. As you can imagine that was met with a less than pleasant look. Zach was super excited and did a great job. 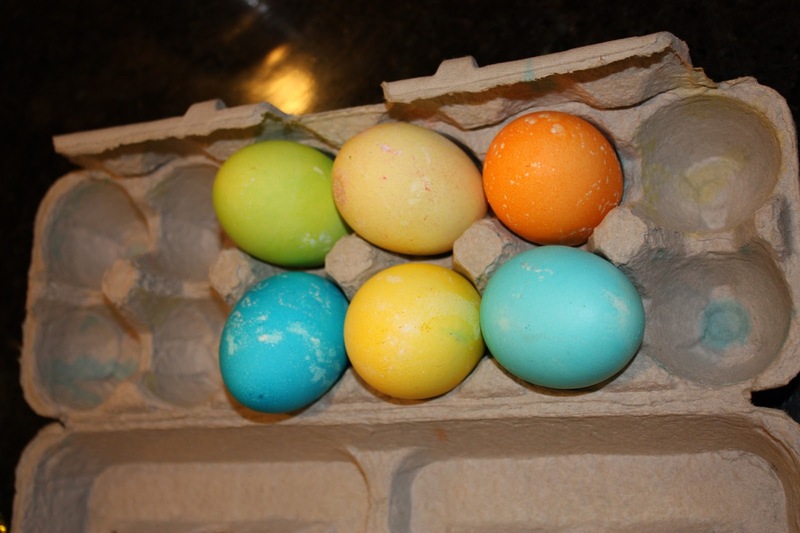 I won’t say he dunked the eggs carefully…but none broke and only a bit of mess was made so who really cares? « Do you know rhubarb?